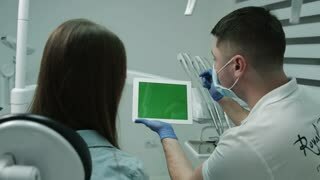 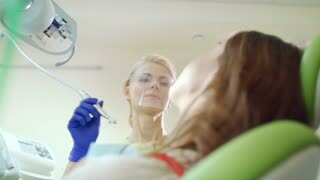 Search Results for "dental clinic"
Attractive female dentist in gloves putting on face mask while talking and cheering her handsome male patient. 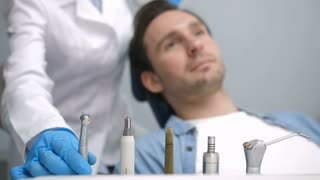 Smiling dental doctor taking dental tools to examine patient's teeth in dental clinic. 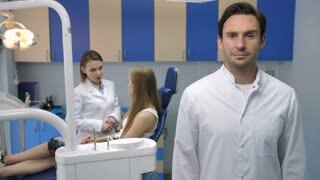 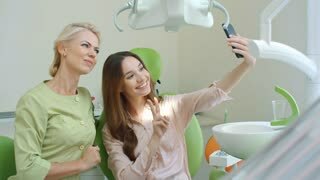 Beautiful smiling female dentist in white lab coat meeting and greeting handsome male patient at dental clinic. 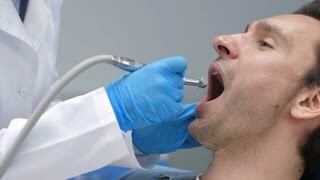 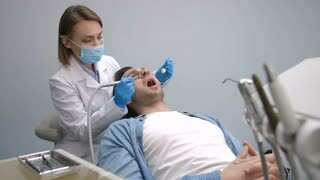 Young man in dental chair telling about his tooth problem to friendly doctor. 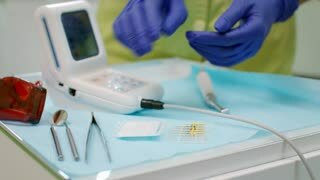 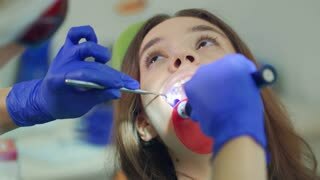 Pretty smiling female dentist in white lab coat and examination gloves putting on dental face mask, taking dental tools and starting check-up on young male patient in dental clinic. 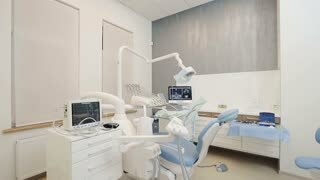 Lit reception area in dental clinic. 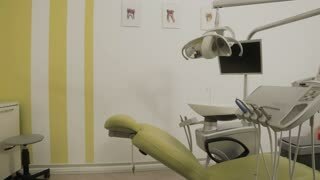 Working place - table with computer.